You'll enjoy a whole new perspective from a little higher up as you relax in the comfort of the POLYWOOD® Coastal Counter Arm Chair. 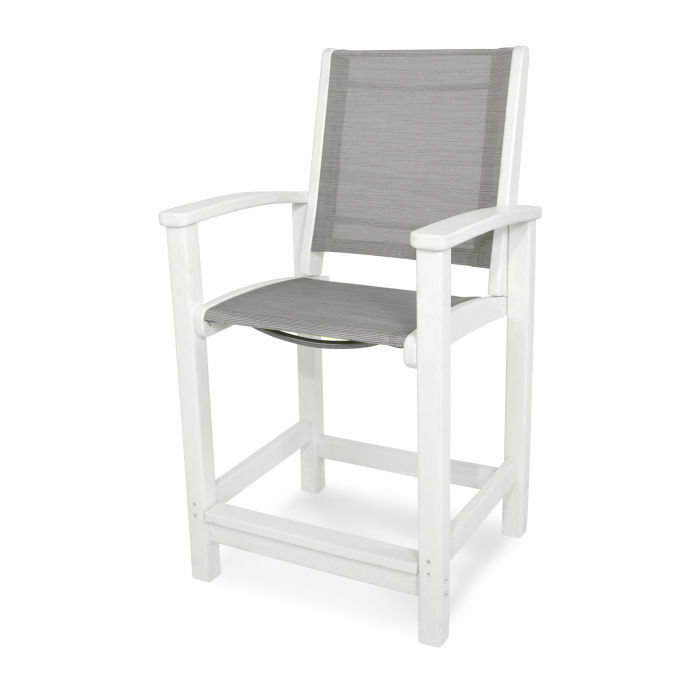 This contemporary sling style chair in counter height is available in a variety of attractive, fade-resistant frame colors with white sling fabric. You'll enjoy a whole new perspective from a little higher up as you relax in the comfort of the POLYWOOD® Coastal Counter Arm Chair. 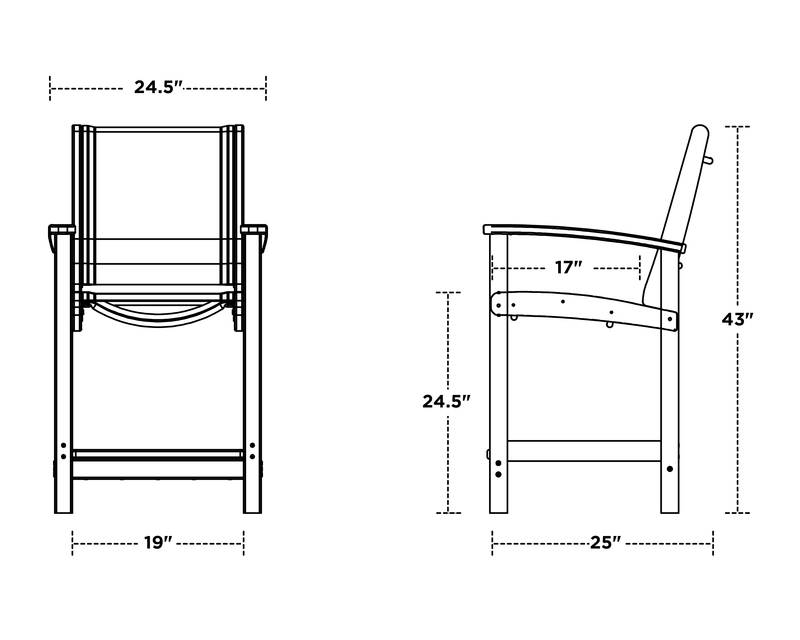 This contemporary sling style chair in counter height is available in a variety of attractive, fade-resistant frame colors with white sling fabric. 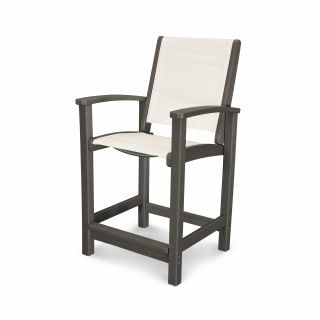 This durable chair's frame is constructed of solid POLYWOOD® recycled lumber that looks like painted wood but without the maintenance real wood requires. The heavy-duty sling fabric dries quickly and is resistant to tearing, weather, mildew and fading.